Samsung is all set to launch a bunch of smartphones today under a freshly updated A series lineup. The company is expected to launch three new smartphones namely A80, A70, and A40 during the ‘A Galaxy Event’ in Bangkok, Milan, and Sao Paulo. The company is hosting a live-stream of the event on its official website which starts at 5.30 pm IST. Out of the three smartphones, Samsung recently had a quiet launch of the Galaxy A70 on its website. However, the company did not reveal the price and availability of the smartphone. The Galaxy A40 was also released in some regions last month, and it is expected that the company would make the smartphone globally available starting today. The most anticipated smartphone, however, is the Galaxy A80. The smartphone was speculated to be launched as the A90, but recent rumours suggest that Samsung would launch the A80 with similar specifications as the A90. The A80/A90 is expected to feature a 6.7-inch Full HD+ AMOLED screen with a resolution of 1080*2400. The smartphone would not have a notch and instead would go all-screen with a truly Infinity display. The new design makes way for a pop-up rotary camera in the A80/A90. A render video explains that the device would have a slider design with a dual-facing camera. The camera is capable of turning and becoming the front camera as well. The primary sensor would house a 48MP f/2.0 lens coupled with an 8MP f/2.4 ultra-wide sensor and a Time of Flight sensor. For a powerful performance, the Snapdragon 7150 is slated to debut with the device paired with 6GB or 8GB RAM and 128GB internal storage. The Snapdragon 7150 is said to be a successor of Qualcomm’s current mid-range chipset Snapdragon 710. 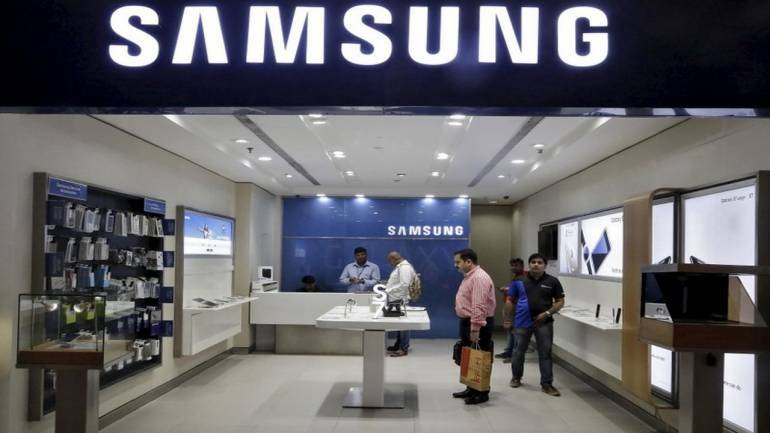 The high-end device is rumoured to house a smaller battery of 3,700 mAh compared to the already-launched Galaxy A10, A30, A50 and Galaxy A20 with slightly bigger capacity batteries. The A80/A90 will have fast charging support of 25W and run on Android 9.0 based One UI. The Galaxy A70 sports a massive 6.7-inch Full HD+ Infinity-U display with a resolution of 1080*2400 pixels and a tall aspect ratio of 20:9. It also has an ‘On-screen fingerprint’ scanner which is assumed to be an optical scanner. At the heart of the smartphone is an Octa-core processor (Dual 2.0GHz + Hexa 1.7GHz). Samsung has not mentioned the chipset used, but it is assumed to be a high-end Exynos processor. The SoC would be paired with 6GB and 8GB RAM options and have 128GB internal storage, expandable up to 512GB via microSD. Three cameras handle the camera department at the back and a single 32MP f/2.0 front sensor at the front for selfies. The triple camera setup includes a primary 32MP f1.7 lens along with a 123-degree ultra wide 8MP f/2.2 secondary sensor. The third sensor is a 5MP f/2.2 depth sensor. The phone packs a massive 4,500 mAh battery and supports 25W fast-charging. The phone runs on One UI and has been launched in four colour options: Black, Blue, Coral, White. It is expected that Samsung would unveil the pricing and availability details of the Galaxy A70 today at the event. The Galaxy A40 features a smaller 5.9-inch Full HD+ Infinity-U display with a resolution of 1080*2280 pixels. Under the hood, the device is powered by an octa-core Samsung Exynos 7885 SoC which is paired with 4GB RAM and 64GB internal storage, further expandable up to 512GB via microSD. For optics, it gets a dual-camera setup with a 16MP F/2.0 primary sensor and a secondary 5MP ultra-wide sensor with an aperture of f/2.2. The notch on the display houses a 25MP camera for selfies. It has a 3,100 mAh battery and runs on Samsung’s One UI based on Android 9.0 Pie. The phone has been priced at EUR 249 (roughly Rs 19,500) and launched in four colours – Black, Blue, Coral, and White. Honor 8X is all set to launch in India on October 16, which is today. The new Honor smartphone will be unveiled at an event in New Delhi at 11:30 AM. The successor to Honor 7X, the new Honor 8X was originally introduced in China last month. The phone features a tall 6.5-inch full HD+ 19.5:9 notch-style display. Honor 8X will be available for purchase exclusively on the e-retail platform, Amazon India. Honor 8X event will be livestreamed via the company’s official YouTube channel. In addition, users can check Honor India official Twitter handle for live updates. 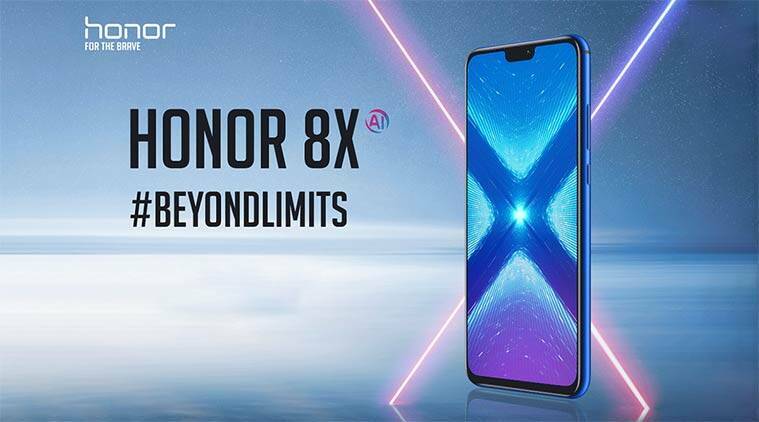 Here are the details on how to watch livestream of Honor 8X launch event, India launch timings, expected price, specifications and more. Honor will be hosting a livestream of the Honor 8X launch event on their official YouTube channel. The Chinese handset maker is expected to post live updates on its official Honor India Twitter handle as well. Honor 8X launch event will commence at 11:30 AM IST. Honor 8X could be priced between Rs 15,000 and Rs 20,000 in India. The phone marked its debut in China last month. The new Honor smartphone will be Amazon exclusive in India and the ‘Notify Me’ page is live on the e-commerce platform. The new Honor 8X features a 6.5-inch full HD+ 19.5:9 display with a notch on top. It is powered by Huawei’s latest HiSilicon Kirin 710 processor paired with 4GB of RAM. In terms of camera, Honor 8X sports dual camera setup comprising of a 20MP primary sensor and a 2MP secondary sensor. The cameras on the phone offer AI mode. Up front, it has a 16MP camera sensor that supports bokeh mode. Honor 8X runs Android Oreo and packs a 3,750mAh battery. Samsung Galaxy S9 and Galaxy S9+ are the talk of the town with an impending launch next month. While there are still a few weeks before we witness their official unveiling, the Galaxy S9 duo’s design, specifications, and features have been outed multiple times through different sources. The latest report comes from Chinese certification website 3C where both the variants have been spotted. According to the listing, the upcoming phones are expected to retain fast charging capabilities from last year. 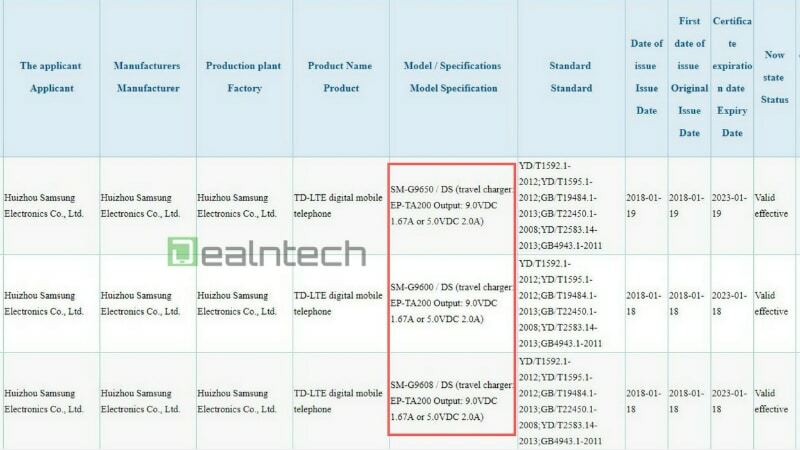 As we mentioned, the Galaxy S9 and Galaxy S9+ with model numbers SM-G9600, SM-G9608, and SM-G9650 were spotted by DealnTech on the 3C certification website. 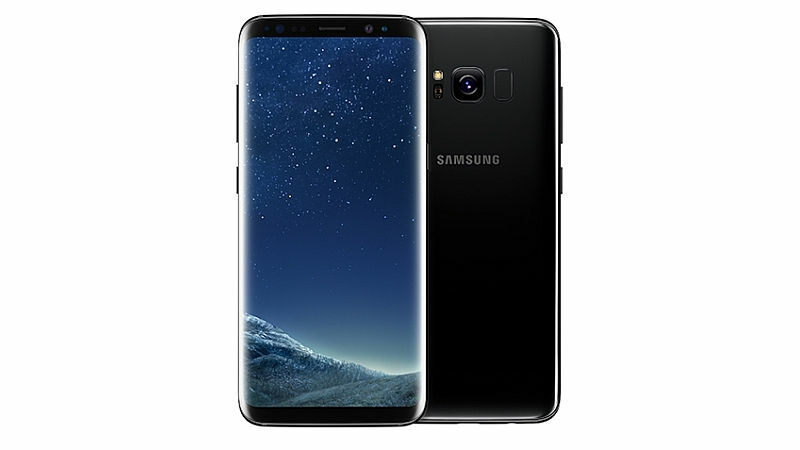 The report claims that SM-G9600 is the Chinese variant of the Galaxy S9, SM-G9608 is the Taiwan variant of the Galaxy S9, and the SM-G9650 is the Galaxy S9+. According to the listing, all three models will come with fast charging 9.0V output at 1.67A (15W) and standard charging 5.0V at 2.0A (10W). Recent reports had also suggested that the upcoming Galaxy S9 duo will sport the same battery capacities as the Galaxy S8 series. The Galaxy S8 has a capacity of 3000mAh, while the Galaxy S8+ is backed by a 3500mAh battery under the hood. Apart from that, the listing also shows that all three models have the DS labelling which refers to “dual-SIM”. An interesting thing to note is that the standard of fast charging remains unchanged since the Galaxy S6, which was launched with the 15W output. The Samsung Galaxy S9 and Galaxy S9+ are expected to be powered by a Qualcomm Snapdragon 845 SoC. Recently, reports pointed towards the usage of a new Y-Octa display technology on the phones. Additionally, the Galaxy S9 duo is also expected to feature an f/1.5 aperture lens. The Galaxy S9 series is slated to launch at Mobile World Congress 2018 in Barcelona. According to Evan Blass on Twitter, pre-orders will start on March 3 with availability from March 16. The Moto E4 and Moto E4 Plus were both launched globally last week, and are priced at $129.99 (roughly Rs. 8,300) and $179.99 (roughly Rs.11,600) respectively. Coming to the specifications, the Moto E4 runs on Android 7.1 Nougat and comes with a single-SIM slot (Nano). It sports a 5-inch HD (720×1280 pixels) display, and is powered by the 1.4GHz Snapdragon 425 processor or a Snapdragon 427 SoC (depending upon the carrier in the US) paired with 2GB of RAM. The smartphone offers 16GB of inbuiltl storage option with the option to expand further using a microSD card slot. Ahead of the launch, Lenovo had told Gadgets 360 that the phone will be powered by the MediaTek MTK6737M chipset outside of North America. As for the optics, the Moto E4 has an 8-megapixel rear camera with autofocus, f/2.2 aperture, and single-LED flash support. At the front, there is a 5-megapixel sensor with f/2.2 aperture, fixed focus, single-LED flash, and a beautification mode for better selfies. It packs a 2800mAh removable battery, and connectivity options include Wi-Fi 802.11n, Micro-USB port, GPS, Bluetooth v4.1, and 4G support. The dimensions are at 144.5×72 x9.3mm, and the smartphone weighs 150 grams. Sensors on board include proximity, light, accelerometer, and magnetometer. In the US, it will be available in Liquorice Black, and Fine Gold colour variants. The Moto E4 Plus has a slightly bigger 5.5-inch HD (720×1280 pixels) display. It will be powered by a 1.4GHz Snapdragon 427 SoC in the US, and MediaTek MTK6737M chipset outside of North America. Apart from the 2GB/16GB variant, it has an additional 3GB RAM/ 32GB storage variant as well. The rear camera is bumped up to 13-megapixel with f/2.0 aperture, autofocus, and single-LED flash support. 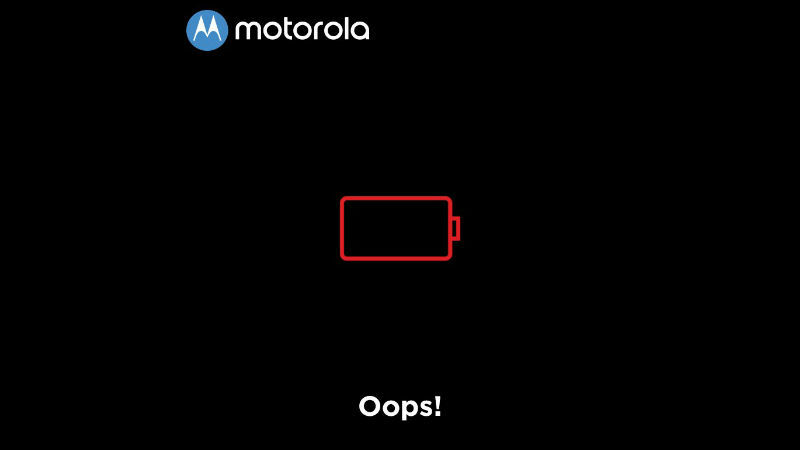 The biggest USP of the Moto E4 Plus is 5000mAh non-removable battery that supports fast charging as well. The dimensions measure at 155×77.5×9.55mm, and the smartphone weighs 181 grams. In the US, the Moto E4 Plus will be available in Iron Gray and Fine Gold colour options. All the other specifications are identical to the Moto E4.